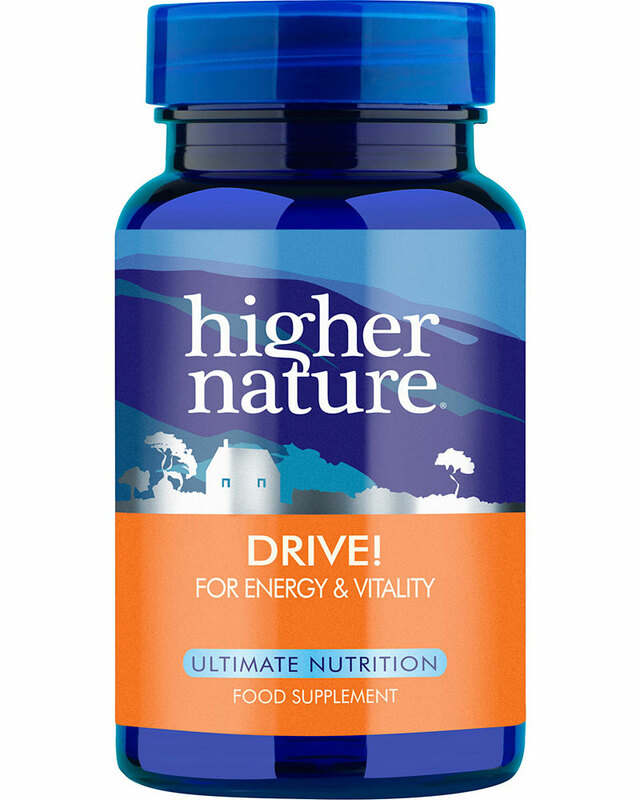 Higher Nature Premium Naturals Drive! Wide awake energy. Drive! provides important co-factors for energy, balanced brain chemistry and get-up-and-go, including the amino acid Tyrosine, plus co-factors for making the brain’s natural neurotransmitters dopamine and noradrenalin. Vitamin B3, B6 and Folic acid are particularly important for mental performance, including resisting stress. B vitamins also support energy production and nervous system health. Drive! also helps maintain a healthy rate of metabolism. Not advisable if pregnant or in cases of melanoma, schizophrenia, high blood pressure or if taking MAO inhibitor drugs. 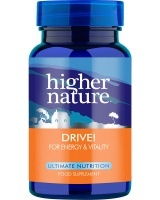 Premium Naturals Drive does not contain: Salt, wheat, gluten, yeast, artificial preservatives, colours or flavourings.